04/11/2019 - The American Hockey League announced today that defenseman Aaron Ness of the Hershey Bears has been named a 2018-19 AHL Second Team All-Star, as voted by AHL coaches, players and media in each of the league’s 31 member cities. Ness, 28, ranks second among AHL defenders in scoring with a career-best 51 points (five goals, 46 assists) this season. His 46 assists are the most by a Hershey defender since blue liner Mike Gaul had a franchise record 57 helpers in 1999-00. Ness is first in the AHL among defenders in assists and power play assists (23), and ranks second in the league among defenders in power play points (26). 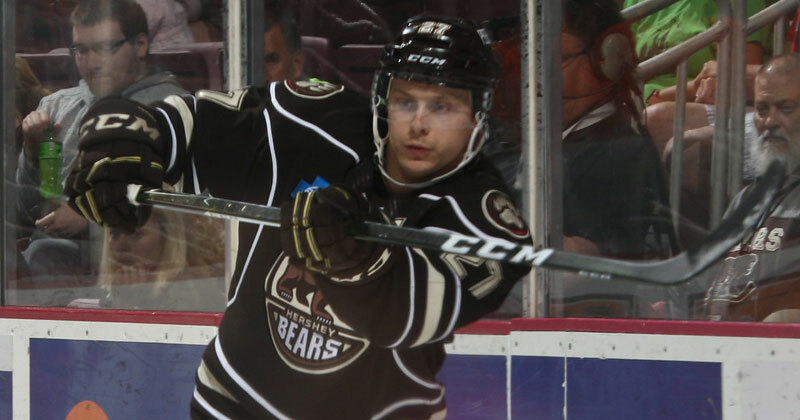 His +22 rating leads the Bears, and he serves as part of Hershey's leadership group as an alternate captain. Ness has played 237 games over the past four seasons as a member of the Chocolate and White, scoring 124 points (20 goals, 104 assists) with a +23 rating. The veteran skated in his 500th AHL game this season and has 247 points in his 517-game AHL career. The complete AHL First and Second All-Star Teams are below.